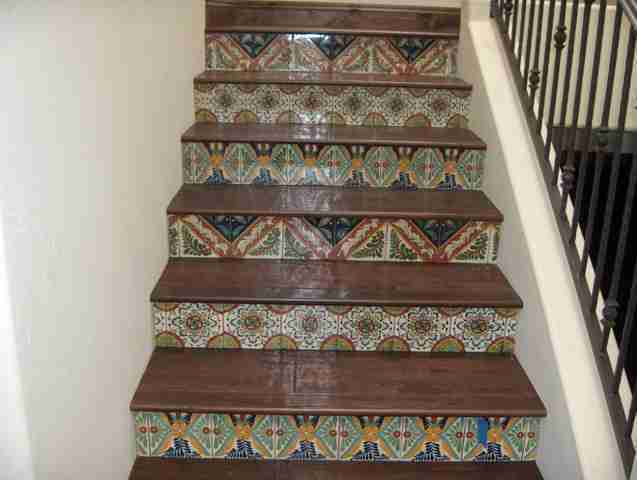 These custom hardwood and tile stairs were completed for the client of a designer we often work with. 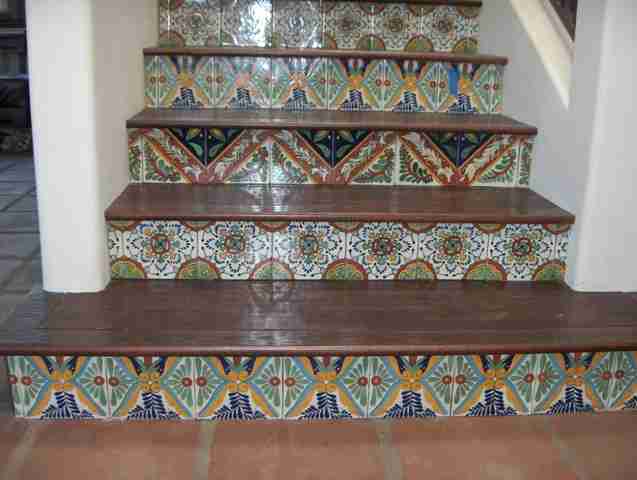 The designer actually traveled to Mexico to source the beautiful Spanish style deco tiles. 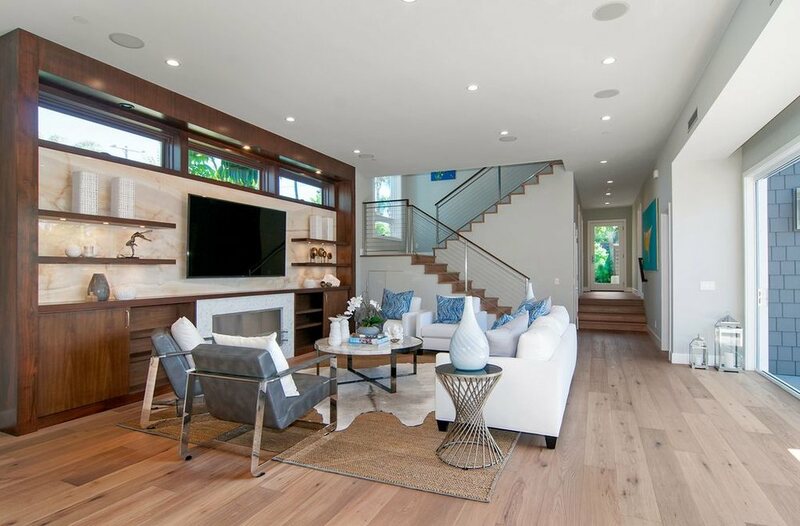 She referred the client to us for the hardwood flooring selection and installation. 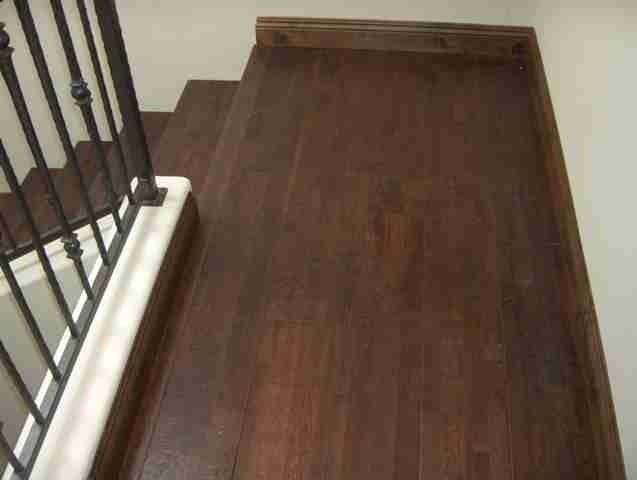 The wood is a 7″ wide hand scraped product that we had custom made for the project. The dark color and distressing of the wood compliment the white walls and colorful tiles. Not only is the result in line with the architecture of the home, it serves to enhance the Spanish style design. One imagines ascending these steps to a balcony with a view of the Mediterranean. This type of installation requires attention to details. Stairs are often time and labor intensive, as are mixed media installations. Our installers are craftsman who put the utmost effort into their work. No detail is too small, no job too demanding. If you are considering such a look for your home, give us a call. You don’t have to travel across the border to find such tiles either. With our numerous supplies and resources, we can help you find the right tile for your Spanish/Mediterranean style interiors.